B&S Restaurant, formerly known as the Potturinn by the Ring Road in Blonduos northwest Iceland is located right by the Ring Road to provide convenience to all. Serving as Potturinn for years, we decided to change our name to B&S Restaurant as we thought this name suits us better by all means. As times change, we thought to continue to serve you even better than before hence, changed from Potturinn to B&S. 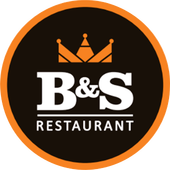 B&S Restaurant is convenient for anyone and everyone travelling through Blonduous as it has a spacious parking lot in front of the restaurant for cars and buses. We are famously known to offer high quality service and mouthwatering food to our customers at reasonable prices and we specialize in accommodating all sorts of customers whether in large groups or small. Our restaurant is highly known to provide an excellent professional service which is why if we have travelling groups who are on a tight schedule, we proudly cater them too. Our menu consists of a variety of items. Whether you are looking for some fine dining food or comfort food, we have got it all. Our guests can choose from a selection of A La Carte menu as well as fast food such as pizzas, burgers and pasta dishes etc. Not only that, we love to take care of kids as well. Our restaurant is a family friendly place where we provide children’s menu as well as a play area for them. Kids who come here love spending time exploring our indoor playhouse. We make sure to provide our guests with a comfortable environment by making them feel like home. Our experienced chefs know what they are doing which is why we also offer direct interaction of our customers with our professional chefs to help them decide better about what they should try from our menu. Our restaurant believes on the idea of “simple things done right”, which we have used thoroughly on renovating the restaurant as well as creating a simple yet comfortable menu. We provide our customers with both, formal and informal setting with the main focus on giving them excelling quality, quantity and customer service. We may have changed our name but with that we surely know how to retain the quality and quantity that we serve. Drop by at B&S restaurant to have a welcoming and relaxing dining experience for family and friends.